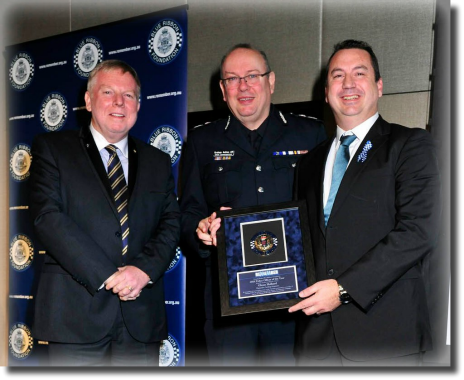 The Blue Ribbon Foundation Police Officer of the Year award recognises the outstanding contribution the recipient has made to the community. Members and employees of Victoria Police serve a vital role in keeping our communities safe and they do this through a genuine commitment and desire to help others. Often this commitment extends beyond their normal duties to assist sporting clubs, their local schools, youth groups, charities and a host of other activities that are important to local communities. Most of us would know some of these people who are often described as ‘unsung heroes’. The Blue Ribbon Foundation Police Officer of the Year Award could be your opportunity to nominate a member or colleague of Victoria Police who has made a valued and sustained contribution to the community that is considered above and beyond the call of duty. Nominations are invited in April each year and the Award is announced at the Blue Ribbon Foundation’s Annual Partner’s Breakfast in July. Nominations are now open for the 2019 Police Officer of the Year. Please note your nominations must be received by 31 May 2019.